The title of this exhibition is an alegorical formula freely related to the the spot where the ittakes place. Based on the realms interpreted as a visual memory of Villa P651, Jakub Tajovský creates an imaginary enviroment occupied by a fictive resident. The exhibited artefacts act as abstract units with concrete functions; they temporarily settle the space and land the fantasies about stylized reality to it. We can see this exhibition as attempt for the domestication of an illusion or penetration into the harmony of the architecture. 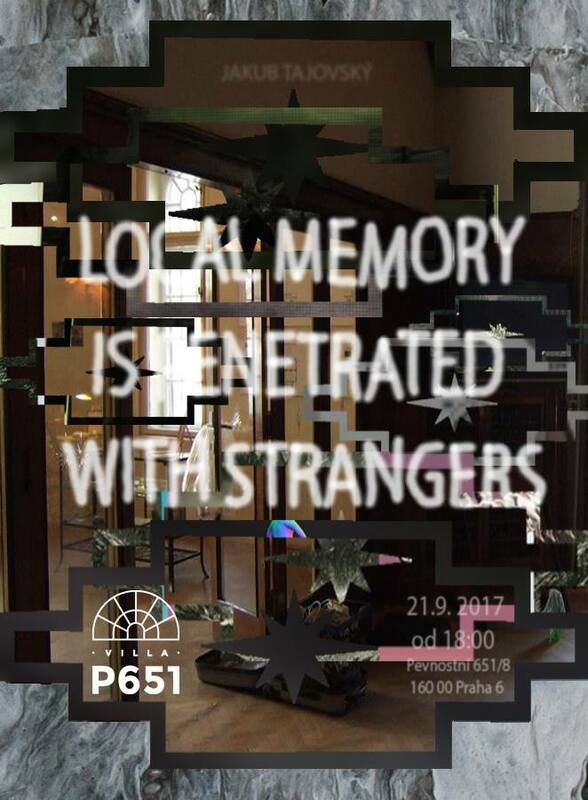 A certain degree of unfamiliar behavior is the nature of the stranger,the connection with local realm joins new branch of the memory depicting “the master of house”. In other words, the impression of occupation creates a layer of “pseudoreality” that penetrates the memory of the house and also the expected permeation of the invited audience.